Exclusive first sneak peek at my book! This coming week is the Frankfurt Bookfair. It’s the biggest book fair in the world! So imagine my excitement when I found out my book is going! My humans often tell me I’m special but we all know that they say and do silly things, so I’ve never taken them too seriously. However, I’m very honoured to find out that my publishers also think I’m special and my book is going to be a special title! If you look closely you can see me swimming and completing my cat overboard drill! I think it looks pawesome! What do you think? Wow, that’s fantastic Bailey, what a famous cat you will be! Even more than you are already, that’s purrfect. I will buy your book as soon as it comes on the market. Two paws up for you Bailey. This is sooooo cool. You are an awesome adventurer. Congratulations! Your mum has a good concept with the book and all the great pictures the humans take of you are wonderful. Bailey, you are swimmingly cool. Congratulations Bailey! It does look pawsome! 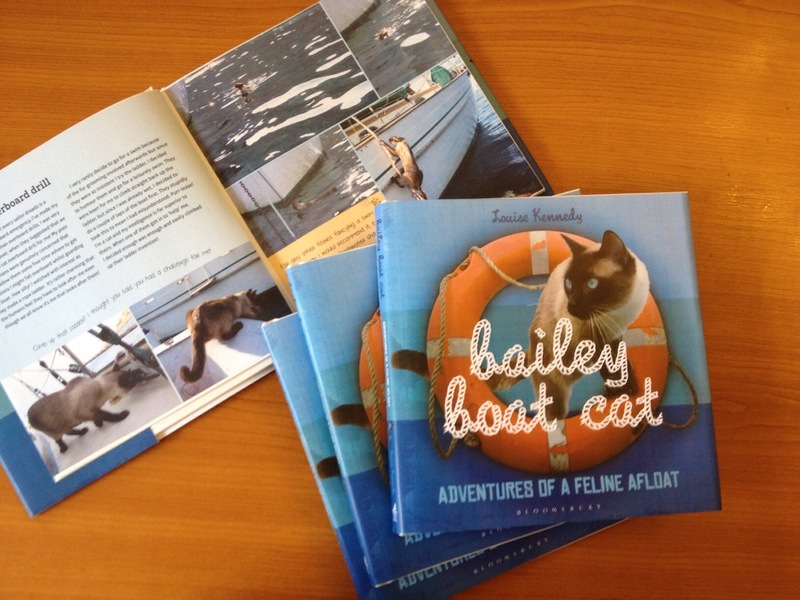 Bailey I couldn’t pawsibly be more excited for you….AND I love the cover – I’m glad those shots of you in your “cat overboard” and “swimming ’round Nocturne” mode are included….this will be a fabulous book for sure!! YAY!!!! I want a copy, Bailey! Oh wow! 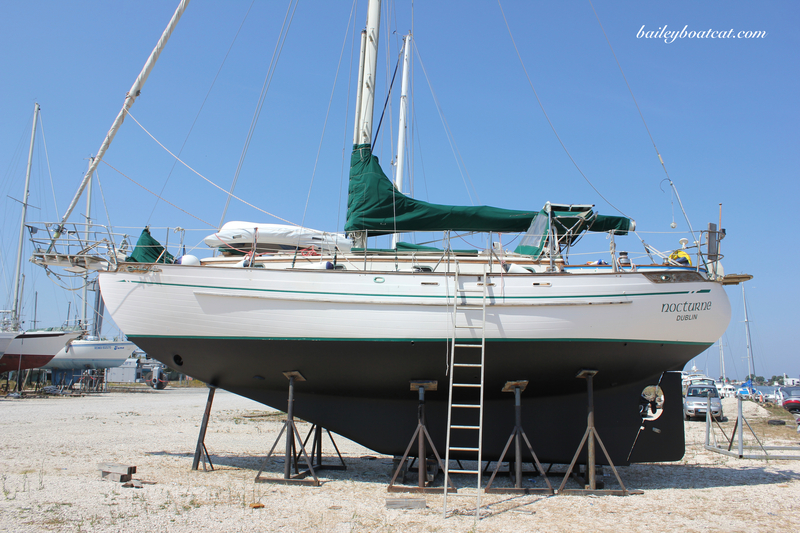 Concats! I can’t wait for the real one to be published! OMC, Bailey, I am so excited for you! The next time we have a book at Frankfurt, it will probably be the rescue anthology my human is working on. Congratulations, Bailey! I’m excited to get this book when it comes out! Bailey, we think your book looks terrific! Congrats!! Da book iz pawsum lookin n ya iz pawsum n diz all iz so eggcitin!!! Well dun Bailey n yer Hu’Manz too!!!! 4 pawz up fer Bailey!!! Wow, it is going to look amazing! This is awesome pawsome news. Congratulations! I can’ wait to read it! Mewz book looks pawesome and so cool, my human and I cannot wait to buy a copy when it comes out! The photos of you as always are so amazing and show what a truly remarkable personality and nature mew have. First my pawesome friend Lil Bub comes out with a book and NOW YOU!?!?!?! I live in pawesome times. That’s so exciting! Mummy doesn’t get to go to FBF, but some of her work colleagues are so she’ll ask them to look out for your book! Oh, I hope you come to America for a book signing one day, Bailey!